Maybe, like us, you’ve been extra focused on temperature lately, checking the weather every morning before getting everyone dressed (because maybe it’s suddenly summer) or feeling those small foreheads a bit more often than usual. We teach children about temperature early, for safety. 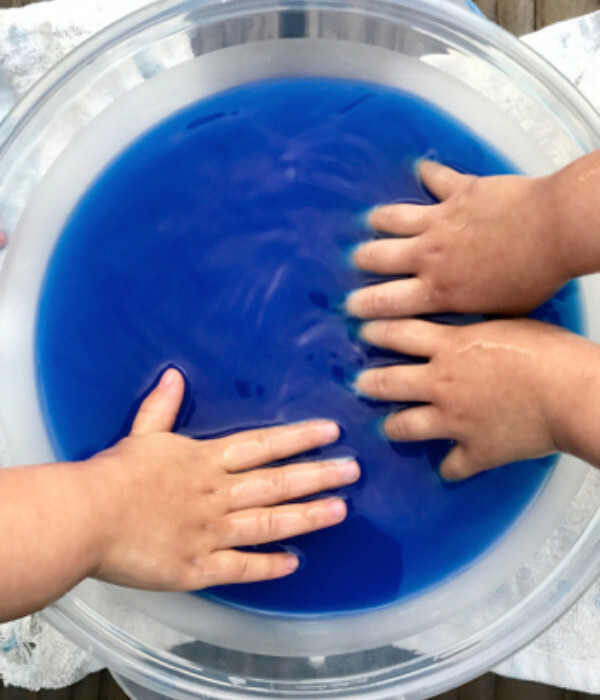 But playing with hot and cold can also be lots of fun for kids because we can explore these things with all of our senses. 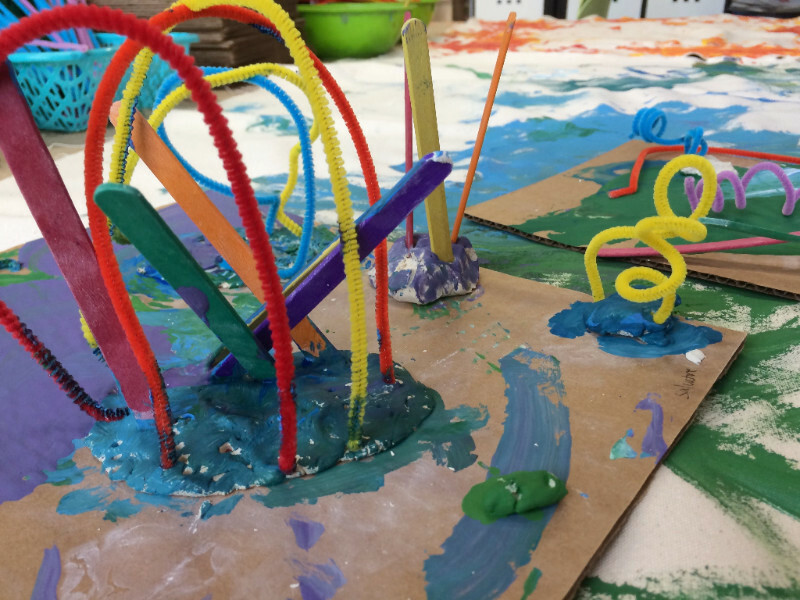 This week in the art room, we’re experimenting with warm and cool colors, both in drop-in art and Messy Mixed Media. 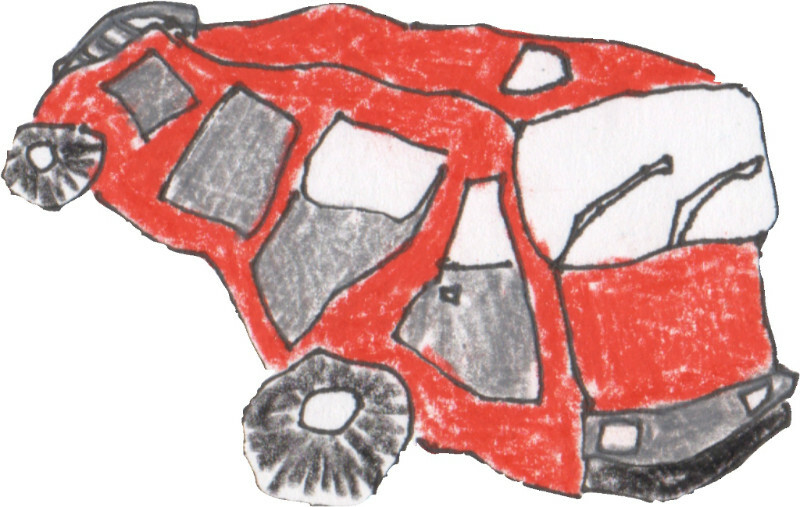 PLAY music red session is also filled with themes of hot and cold, via fire and water: We’ll ride on fire engines, douse the Great Fire of London, and sing about the ocean. Complete info on this week’s activities is below. 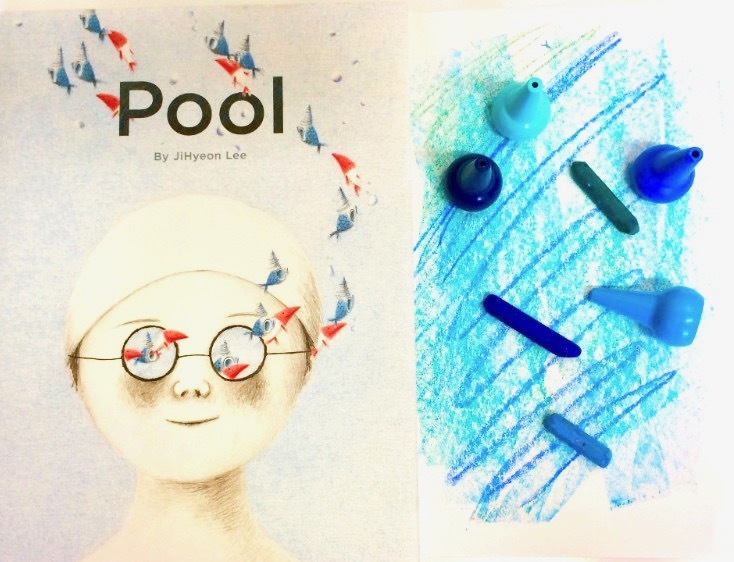 This Thursday, Jasmine will be sharing Jihyeon Lee’s beautiful, wordless book, Pool, about two shy children who meet at a crowded pool. Arrive by 10am to catch the reading, which will be followed by art time inspired by the book. Toddlers to five; drop-in. Complete info is here. 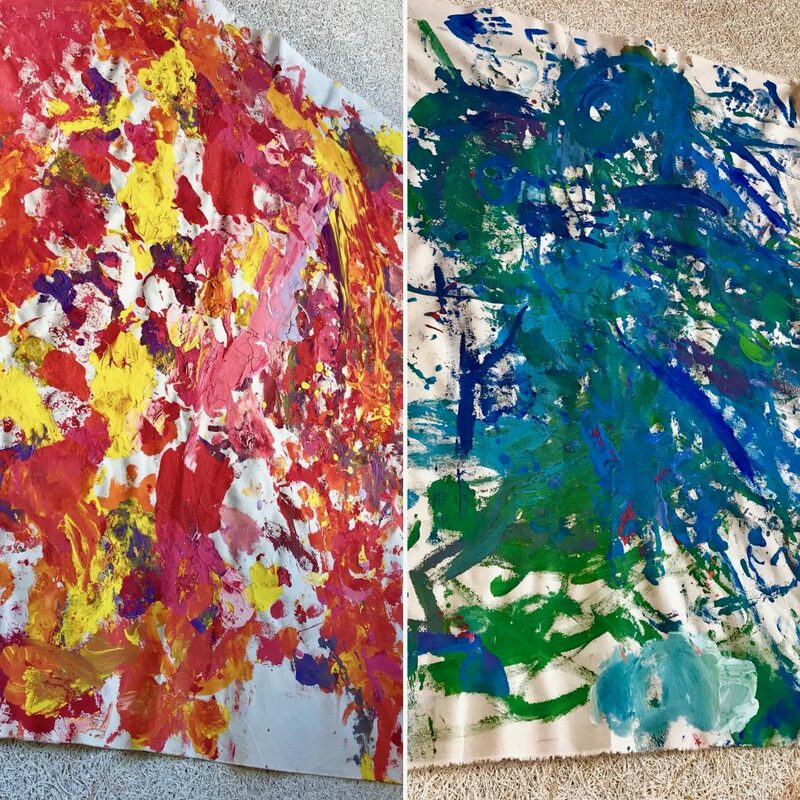 This week in Messy Mixed Media, we’re introducing warm and cool colors by looking at two paintings by Van Gogh, and talking (briefly) about what these groups of colors remind us of or make us feel. 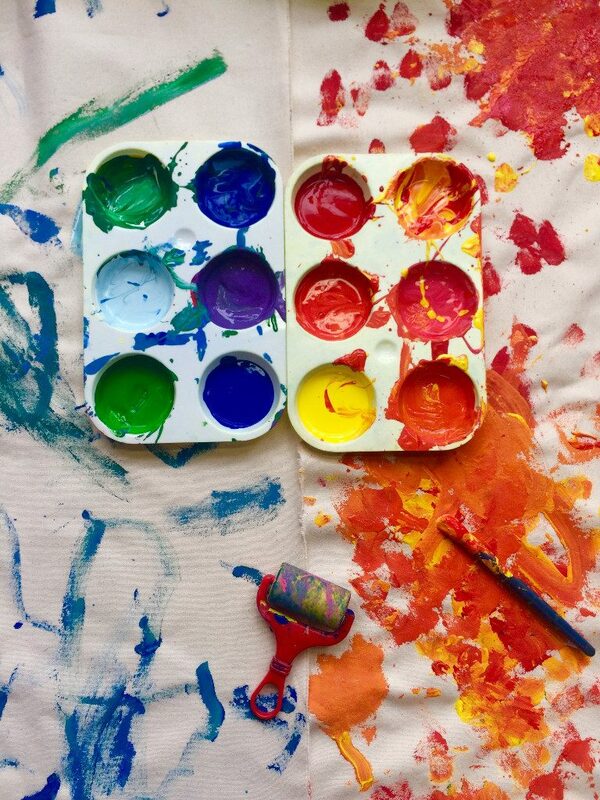 We’re also separating by color our paints and materials for this week’s linear sculptures on clay bases (before mixing them back up again). And all the classes are collaborating on a warm and a cool painting on canvas. 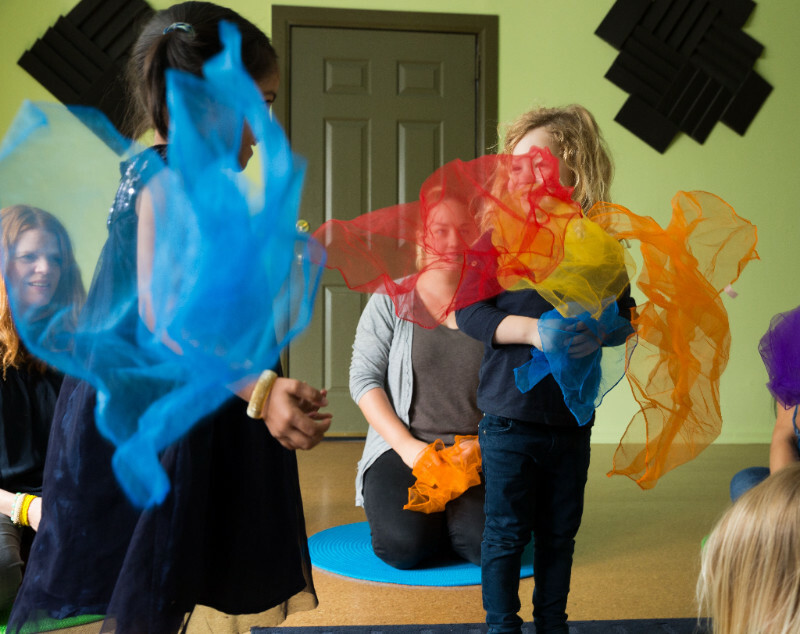 Sometimes what captivates kids about a song is a subject they love (like a fire engine), or a visual story told with rhythm, movement, and props (like the scarves we use to create flames and water when we sing “London’s Burning,” or all the different ways we can imitate the sea when we sing “My Bonnie”). The most memorable songs engage us musically and also capture our imaginations. Check out our award-winning PLAY music recordings on SoundCloud. 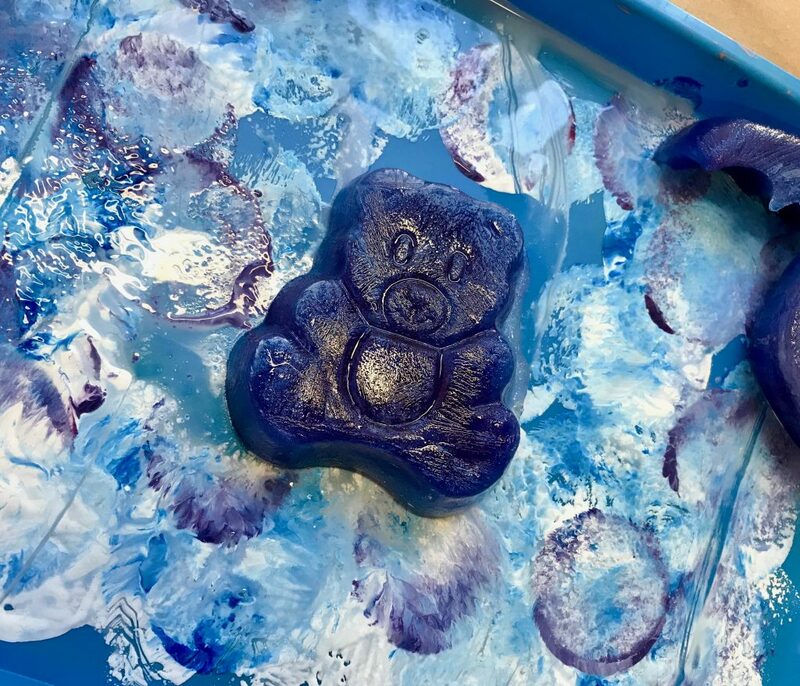 Friday 2/2 through Tues. 2/6 during Messy Art, we’ll invite your painters to explore warm and cool colors (and we’ll offer them some cool blues and warm reds that they can feel).